Welcome to the best source for private flights, helicopter lifts and luxury yacht charters across the capital city of Japan. Hiring a private jet is the best way to arrive in Tokyo, and our company is here to offer the highest standards in executive and leisure travel. Air Charter Advisors offers on-demand private jet charter service to/from Tokyo, and with access to thousands of private aircraft around the world, we’re confident we can arrange the right aircraft for your trip, whether flying internationally or domestically. Our Tokyo Jet Charter team has experience working with a wide variety of clientele, so we really know how to stand out from the competition. 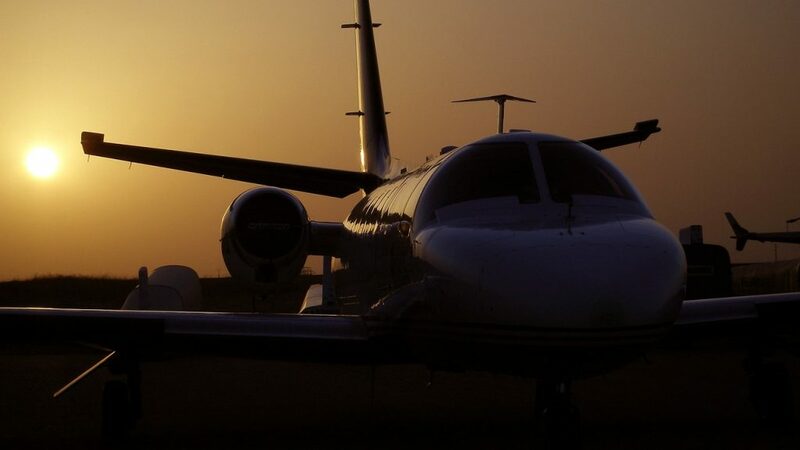 Our boutique jet charter brokerage operates at the most stringent standards of safety and service in the jet charter industry, and we’re available 24/7 so that you can take advantage – no matter where you are in the world. We have access to thousands of aircraft on every continent, and we only work with the best. In order to meet our standards, aircraft must be operated under FAR Part 135 (or foreign equivalent) standards, and the pilots must have experience with the specific type of aircraft that they’re piloting. Our expanding list of distinguished jet charter clients has ranged from royalty, heads of states and top-tier executives, to celebrities, leisure travelers, and executive assistants from every corner of the globe. With our transparent and hassle-free booking process, you’ll be happy to find exactly what you’re expecting come the day of your private flight. We can arrange everything from gourmet catering to luxury ground transportation and a wide variety of special requests. Let us be your one-stop shop for all Tokyo private plane charter needs. Request a quote now, or give our team a call to book your luxury private flight to Japan. ACA has access to the following Wyvern-certified aircraft for your private flight. All of the aircraft we utilize for charter service are operated by FAR Part 135 or 121 (or foreign equivalent) air carriers, using only veteran pilots in the private plane you’re renting. 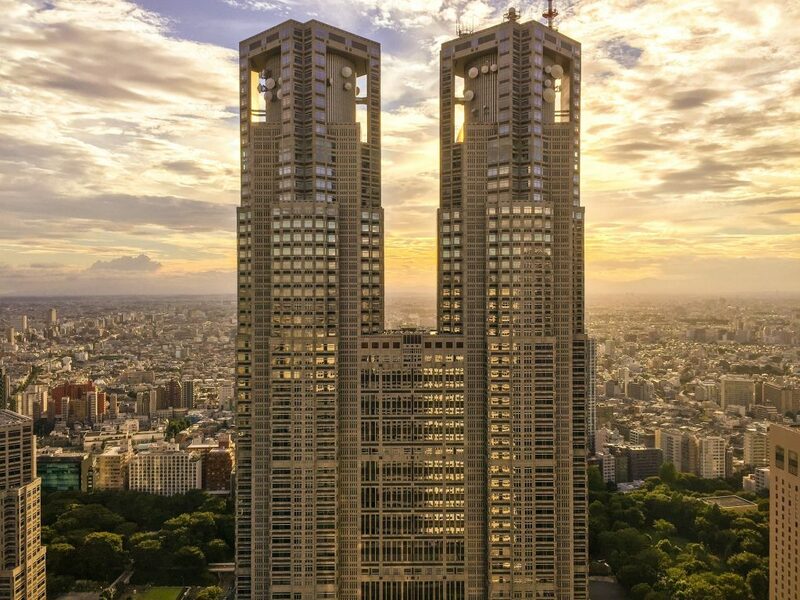 Toyko is the most popular business jet destination in Asia, and ACA is your source for executive jet charter service to/from Japan’s capital city. Tokyo is home of more than urban area 38 million people and the largest metropolitan economy in the world. 51 of the companies listed on the Fortune Global 500 are based here, almost two times as many companies as second-placed Paris. 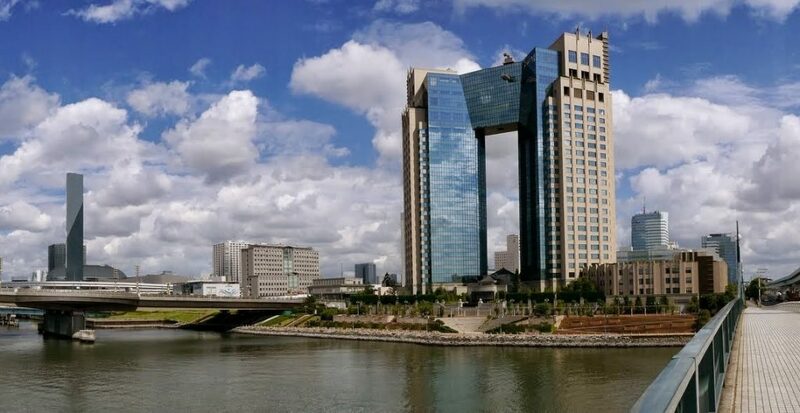 Tokyo is a major international finance center, home to the headquarters of many of the largest investment banks and insurance companies in the world, and the city is a major hub for Japanese transportation, publishing, electronics and broadcasting. Air Charter Advisors has access to thousands of Wyvern-certified business jets ready for your flight at a moment’s notice. We also offer private jet acquisition & sales services, as well as airplane marketing and management. Already own a corporate jet? Having a supplemental lift program in place with our team means your executive team will never be left out on the tarmac. Japanese culture promotes mastery and focus in one discipline, and this trend is evident in the smallest facets of Tokyo life. Choose the metro over a chauffeur, and you’ll find that it is never late. Opt for McDonald’s instead of a formal restaurant, and you’ll notice the efficiency and attention to detail blows most western restaurants out of the water. If you walk to work in the morning, you probably won’t see anyone crossing during a red light, even if there are no cars in sight. These minute details make the experience surreal and worth-while. ACA emulates the Japanese’ attention to detail, dedication to flawless service, and respect for the safety and comfort of clientele. Our Wyvern certified jet charter representatives can arrange multiple aspects of your trip, and will work with you every step of the way. Available 24 hours a day and 7 days a week, we make sure that your needs are met exactly when they need to be. Request a jet charter quote now, or call to book your luxury private charter flight to Tokyo, the masterful land of the rising sun. The past half-decade heralded a change in western culinary and drinking culture. Having replaced the rampant spreading of restaurant & bar chains, craft beers, artisan cuisine and attention to detail are the norm now. Yet for every year we’ve been on the craft train, there are generations of Japanese chefs that have been making the same dishes since they were children; two years learning how to make rice, another learning how to pick the freshest ingredients from Tsukiji Fish Market, and a lifetime of getting it just right. If you’re accustomed to tasty and inventive cuisine prepared by kids fresh out of culinary school, fly private airplane charter to Japan and treat your taste buds to the results of experience. Shrines, monks, temples, and tradition, while sounding foreign to western ears, are commonplace in Tokyo. The stark contrasts of contemporary Japanese opulence against the not-so-distant Meiji Era’s tori gates and traditional architecture are seen when you travel off the main streets. The iconic Shibuya Crossing, with its dazzling lights and tight-packed sidewalks, is a short walk from hole-in-the-wall sake bars and underground izakayas where old men drink and smoke cigarettes. A little bit further from the center, you’ll find Yoyogi Park and the Meiji Jingu Shinto Shrine. 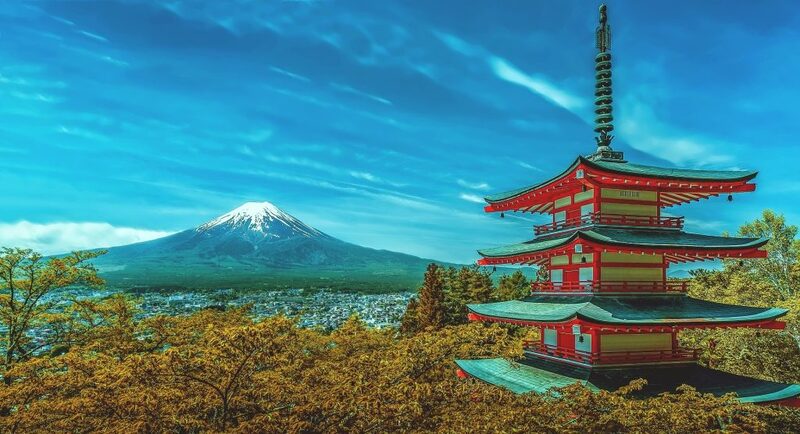 Surrounded by a man-made forest of 100,000 donated trees and imposing tori gates of exceptional size, this shrine is an excellent destination for private jet charter travelers of any interest. Regardless of what you decide to do in Tokyo, you’re sure to have a great time. Check out our list of things to do after your private charter flight to Tokyo, Japan. 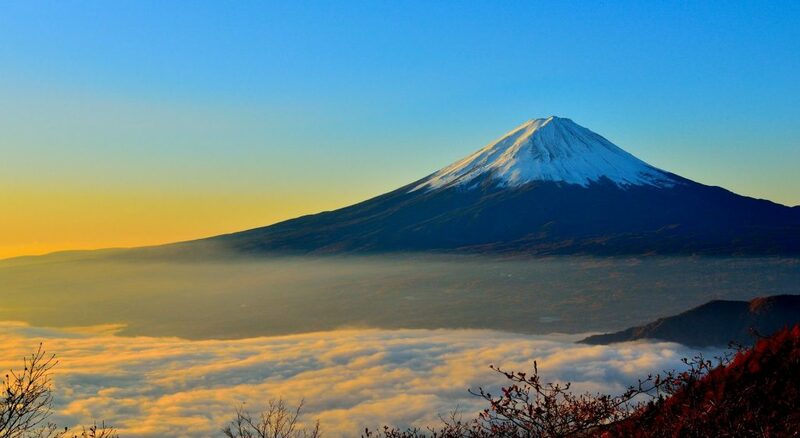 Located on Honshu island, this is the highest mountain in Japan, and is one of the world’s remaining active volcanoes. It hasn’t erupted since the 1700s, and is 60 miles southwest of Tokyo. This mountain is known as one of Japan’s “Three Holy Mountains,” and is a destination of pilgrimage for all who seek its legendary inspiration. For those who wish to keep a distance, Mt. Fuji can be seen from Tokyo with ease; those who wish to get a closer look can do so by using one of the many bridges and tunnels that connect Honshu island to the mainland. Inspired by the Eiffel Tower, this tower is the second tallest man-made structure in Japan, and is a testament to the advancement of mankind, technology, and modern life. The tower functions as a communications and observation tower, and like the Eiffel Towers visits can go to an observation deck high up on the tower and enjoy the view. Truly a spectacle to see, one of the most popular places to spend a day while in Tokyo is the Okunoin Temple on Mt. Takao. Surrounded by a lush forest, which looks great in the fall, there are hiking courses throughout to reach the top. Around the mountain are beautiful statues of Tengu Raven Spirits of legendary folklore. Although sometimes crowded, it is not hard to feel yourself removed from the busy city of Tokyo, and lost in the surrounding nature. A perfect time to visit would be during the Spring, in April, when a festival is held on Mount Takao during the blooming of cherry blossoms. The architecture of this place is incredible, and it’s no wonder why the Emeperor of Japan makes this palace his home. In addition, it also serves as a museum to showcase Japanese art and history. The area is like a park, with many surrounding gardens, and the total area making up nearly 1.5 square miles. The site is built on the ruins of the Edo Castle, destroyed by fire and war. During the construction of the Imperial Palace, architects honored Edo Castle and the many eras of Japan by incorporating some of their design elements into the new palace. Hayao Miyazaki is Japan’s most celebrated animator and film director. His characters and movies are near ubiquitous in Tokyo, seen on billboards and buildings throughout the city. The museum is dedicated to his life’s work, and makes for an excellent daytrip if you’re interested in contemporary Japanese culture. Known for its technology and robotics, Tokyo doesn’t disappoint. Its Robot Restaurant is known for bikini-clad waitresses who pilot giant robots to deliver your food. However, the food delivery is not the main spectacle of a visit to this place. There are actually tickets sold for a theatrical show that goes on in Robot Restaurant, three times a night, usually Tuesday-Saturday. Some describe the “restaurant” as sensory overload though, as the lounge area where people eat and wait for the main show to start is basically a rave area, complete with a small mobile stage, dancers, a band, and fluorescent lighting. Definitely not a family-friendly attraction, but not one to miss if you were born after the 90’s. This contemporary art museum is one of the top museums to visit while in Tokyo. It is a 54-story tower, and its interior houses galleries on the 53rd floor-mainly temporary exhibits and works by artists of the time. Plus, you can get a great view of the city from the top, which can be a fantastic time during the holiday season when the Roppongi Hills and city below are all lit up. A designated national treasure, this is one of Japan’s most famous castles. It survived earthquakes, fires, wars, and was left virtually unscathed during World War II, even when its surroundings were leveled via carpet bombing. It is nearly the last standing castle in Japan, has a history of 400 years, and towers over many skyscrapers and office buildings in the area. Some construction and renovation is going on, and the castle is currently closed for now, but is said to reopen late March 2015. Annually, it is closed December 29-31 during the holidays, a typical tradition in Japan, where many stores and attractions close around New Year’s. Because Himeji isn’t in Tokyo, but is a famous attraction, we felt it should be noted here. We have listed the best ways to get there from here. Fly private jet charter to the Land of the Rising Sun and experience service that is unmatched, often bordering on the obsequious. You will be pampered, your needs often met before realizing you needed anything at all, and you will unfortunately leave jaded towards Western hospitality standards. However, it’s usually best to quickly get over the shock of how good it is so that you can enjoy it. This is much easier to do if you’ve flown in via luxury private jet. To help prepare you for the endless lodging options in the city, Tokyo Jet Charter has compiled a list of the absolute best hotels in the city for luxury private jet travelers. Based on private jet charter client feedback, online reviews, amenities offered, and location, there’s sure to be something on the list that piques your interest; read on to check it out. Air Charter Advisors utilizes the following airports to fly clients privately to/from Tokyo, Japan and neighboring areas. Request a Quote or give us a call at 1-888-987-5387 to speak with one of our Tokyo Private Jet Charter agents for your next luxury vacation, business trip, or special event.